Click on the captions in the pictures below to read their corresponding articles. "Molly Kruse has dropped a new track that feels like a cool fall morning in the city. We are..." Read more at Gas Mask Magazine. "Away from the celebrity spotlight of what we laughingly call the music industry..." Read more at Dancing About Architecture. "Her album’s credit list includes names such as Jan Ozveren (Shakira, Charlie Puth)..." Read more at Middle Tennessee Music. 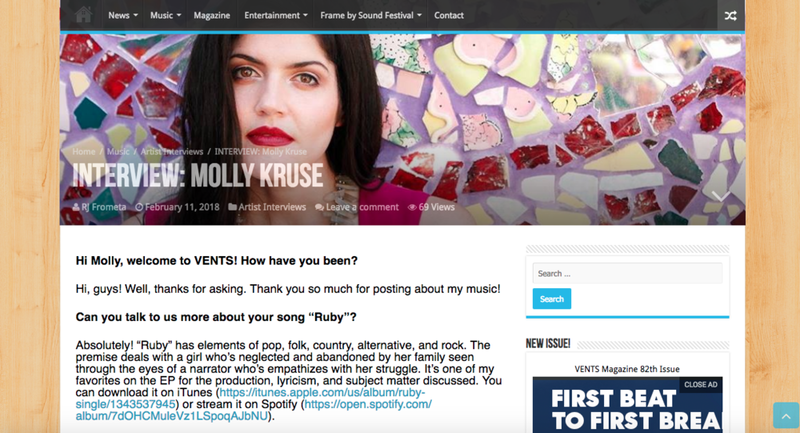 "Molly Kruse just released her debut and we simply can't get enough! The established..." Read more at No Depression. "A highly unique take on folk the song has an ornate, nearly mystical quality..." Read more at Skope Magazine. "Molly Kruse comes alive with her newest release, “Ruby.” The charming song..." Read more at Modern Mystery. "'Ruby' has elements of pop, folk, country, alternative, and rock. The premise..." Read more at Vents Magazine. 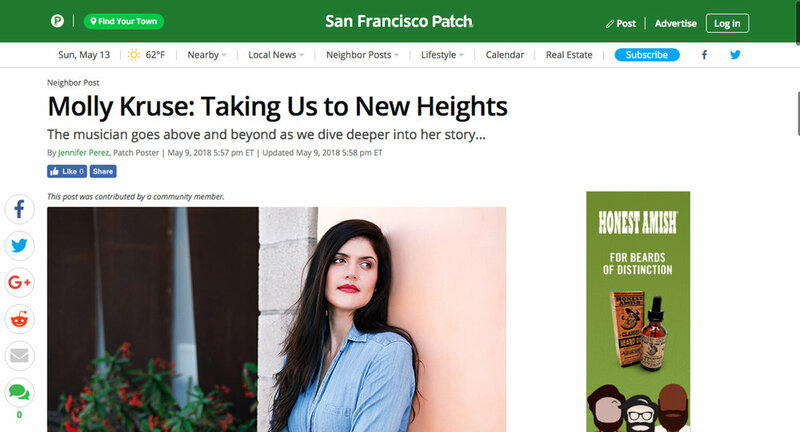 "An artist on the rise, Molly Kruse has been capturing our attention with..." Read more at the San Francisco Patch. "How does one describe the talented Molly Kruse? Full on fusion of her favorite...'" Read more at The Lola Sessions. 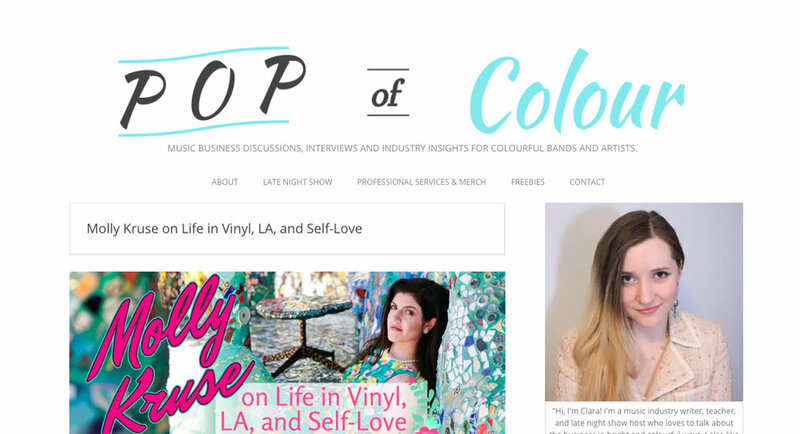 "In the weeks leading up to her self-titled EP release (April 13th, 2018), singer-songwriter..." Read more at Pop of Colour. "Molly Kruse is a name to watch out for in 2018! We were lucky enough to get to..." Read more at Independent Artist Buzz. Listen to Molly's podcast interview with Lou here. Listen to "Ruby" on Rubyfruit Radio. Listen to Molly's EP on SheRoxz. Listen to "Come Back to Me" on Women of Substance.